Announcement Trained as a metalsmith, I create my jewelry using everything from high karat gold, pearls and gemstones to anodized aluminum and copper. Vitreous enamel, on both copper and silver, enhances many of my pieces. I love color, slow and tedious handwork, and getting everything perfect. I have been making jewelry since I took my first class in 1975. Trained as a metalsmith, I create my jewelry using everything from high karat gold, pearls and gemstones to anodized aluminum and copper. 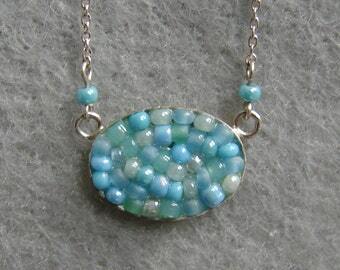 Vitreous enamel, on both copper and silver, enhances many of my pieces. I love color, slow and tedious handwork, and getting everything perfect. I have been making jewelry since I took my first class in 1975. Was finished and shipped very fast. Celia was kind enough to accommodate my design request at no extra charge. The ring fits a tad tighter than expected, but not problematically. Overall a beautiful piece and a great experience. Great craftsmanship and so comfortable to wear. Thanks for fast shipping! Very nice ring from this seller..I’ll come back and buy again from her.. Opening Up - I love color, so discovering enameling I learned to master this wonderful process of “painting” with glass. Heart Cross - One of the crosses I designed in sterling silver and 18K gold. Pins and Needles Brooch - inspired by my mother who has sewn all her life and is currently a quilter. The State of Alabama - this enamel brooch shows the natural resources of Alabama - the rivers and forests. Pewter Creamer - This is the first item I made in the first workshop I took in metals at Arrowmont. My life as a Metalsmith or I love detailed, tedious and meticulous. I have been a metalsmith since taking my first workshop in 1975. I fell in love with the material, the processes and jewelry's intimate scale. It has been my major vocation for almost 40 years. I have taught classes, done major retail and wholesale craft fairs, been in numerous juried shows and managed my own craft gallery. I got my MFA in metals at SIUC many years after that first workshop. 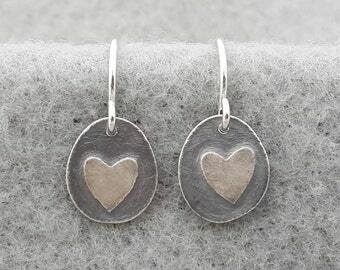 I now use my skills primarily as a metalsmith, fabricating my jewelry at my studio in Alabama. There I forge, form, file, saw, sand, solder, granulate, enamel, oxidize, patina... Now what have I left out. Oh yes, I get to play with fire and make loud noises. What is there not to love about being a metalsmith? I love organic shapes and complex forms. Yet my art training insists there be a reason for each detail in the pieces. So my work can be both very simple and complex at the same time. 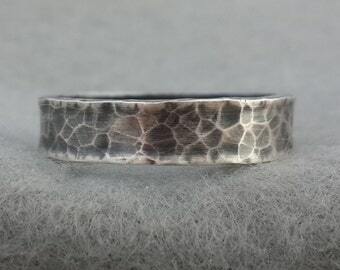 I specialize in unique hand fabricated jewelry. Many of my designs have so many variations and go off in so many directions that it never gets boring creating them. I may be making one of my older design and see new variations and possibilities and off I go in new major or minor directions. One very early piece was inspired by a really weird looking mushroom cap's surface. The pieces it inspired grew and evolved from very organic enamel brooches into a very simple geometric and clean design, visually far from the original inspiration, yet the fundamental idea I saw in the mushroom was still there. With many of my jewelry designs, I test wear the original idea just to make sure it works as I intended. I often keep the original version of a new design's direction for myself because I can not bring myself to sell it. Therefore I have to make others for sale to make a living. This is one reason my work is often created in a series of very similar items. A jewelry idea may have so many design possibilities which I see as I create it, that I cannot make up my mind which one is the very best. Thus I end up making every possible variation. That then becomes a new “line” in my work. Most of my jewelry is either one of a kind or very small limited “production” runs. When I told this to a friend that makes wonderful furniture, he said it made him think of me in a factory working a production line. One of my first jobs was as an inspector packer at a textile mill, and I can tell you my “production” is nothing like that. I sit at my bench and hand make several items in the series or the limited production run by doing the first step for each item in the series, then the 2nd step for each item and so forth until they are all done. This is more efficient than finding all the tools and materials and making each item individually all the way through. It also helps me see and implement variations at different steps in the process while keeping it still fairly efficient. Being a perfectionist, my jewelry must be well made and functional. I use the best materials because I want my jewelry to last and be wearable for many years. I use primarily sterling silver, 14, 18 and 22 karat golds, 14K gold filled, vermeil, vitreous enamels, real pearls and semiprecious gemstones. When I use other materials I always list them under the description of the actual items. Welcome to my Etsy shop. I am adding many of my designs and I am always working on new designs and tweaking older designs so check back often. I can work with metal sensitivities and allergies. I can offer many different hypoallergenic alternatives. I have allergies myself, thus my studio and home is smoke and pet free. I have been a metalsmith since taking my first workshop in 1975. I fell in love with the material, the processes and jewelry's intimate scale. It has been my major vocation for almost 40 years. 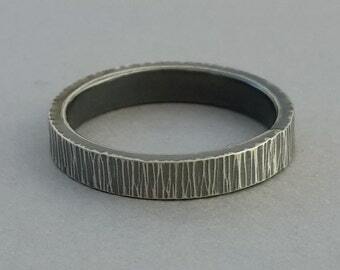 I specialize in unique hand fabricated jewelry. Most of my jewelry is either one of a kind or very small limited “production” runs. I am a perfectionist so my jewelry must be well made and functional. I use the best materials because I want my jewelry to last and be wearable for many years. I use primarily sterling silver, 14, 18 and 22 karat golds, 14K gold filled, vermeille, vitreous enamels, real pearls and semiprecious gemstones. When I use other materials I always list them under the description of the actual items. If you are interested in custom work, I will be glad to speak with you concerning this. Please note that custom work is a final sale. Special orders are slight changes to my listed items and are refundable under my return policy. Please feel free to convo me! I'd love to hear from you. I can cancel most orders if you contact me before the item is shipped, or for custom orders the time noted in our contract. If item is shipped I follow my Returns Policy. Contact me within 7 days (14 days for European Union countries) of delivery, and prior to returning your item, for return authorization. Ship items back to me within 7 days (30 days for European Union countries) of delivery and only with return authorization. Items must be packaged in such a way to prevent damage in shipping. Returns are allowed for any reason for a refund of the cost of the item only. (except for earrings* see below) You are responsible for original and return postage, plus return insurance. The item must be received back in its original and undamaged condition. After 7 days (14 days for European Union countries) above policies apply but items can only be returned with prior permission and will only be for store credit. Must follow return policies listed above. Buyers are responsible for return shipping costs and shipping insurance. If the item is not returned and received back in its original condition, the buyer is responsible for any loss in value. After my receipt and inspection of the item you will be refunded the cost of the item in the same method in which you paid. INTIMATE ITEMS (for health/hygiene reasons): *Earrings on ear wires have a nominal fee charged for their return as the ear wires will need to be replaced. Earrings with posts attached may not be returned, unless I give prior approval under special circumstances. CUSTOM or PERSONALIZED orders: Custom orders where the item has been personalized, cannot be returned. Other custom orders may only qualify for a partial refund, based on the original contract between us. ITEMS ALTERED or not in original condition. May be available in special circumstances. These may include Payment Plans: If you need to use a payment plan, just contact me and we may be able set up something together. If I do not ship to your country at this time, I may be happy to ship to you, but please contact me first so I can calculate shipping to your part of the world. I will then prepare a special listing reserved for you and I will hold the item for 48 hours after I send you the actual shipping costs. Once you have that info, you can proceed to check out. Payment must be made before 48 hours are up for the order to be considered complete. My items DO NOT have VAT (or any foreign taxes collected for your government) included in the price you pay me. You WILL be charged VAT by your government when my product arrives in your country. You may also be charged a VAT collection fee by your postal service before they will deliver your purchase. When you place an order, please contact me that you understand you will be paying these fees to your government, and they are not included in the prices I charge. If you want to cancel a purchase due to this misunderstanding, I will refund all your money only if you cancel before I ship. I will start working on your purchase only after I hear back from you. I am sorry if the information provided by Etsy at your checkout was confusing. Thank you for your understanding. This refers to the time between the item is ordered and when I take it to the USPS and will vary depending on the item. For details, see individual items. Ready to ship items will be shipped in 1-3 days of receipt of payment. Made to order items (Items not labeled as ready to ship, special orders and custom orders) can take a week or longer to make before shipping. For custom orders, please contact me regarding estimated shipping and delivery times prior to making your purchase. I will send you a notification when your order is in the mail. I ship USPS first class mail with tracking and insured in the U.S., unless USPS Priority or USPS Priority Express is requested and the customer pays the difference in cost. Please contact me for a shipping quote if you want Priority Express, or any other special postal services. Estimated shipping times are anywhere from 3 to 10 days for most 1st class packages, 2 to 4 days for USPS Priority and 1 to 2 days for USPS Priority Express. I'll do my best to meet these shipping estimates, but cannot guarantee them. Actual delivery time will depend on the shipping method you choose and their service. For international shipping please allow at least 3 to 6 weeks, or possible more for the item to make it to your house after I put it in the mail. I'm not responsible for delays due to customs. Any customs duties, taxes, fees that are charged upon delivery in your country are not reflected in my shipping charges. These are the buyer's responsibility to pay. Please check with your country's customs office before buying if in doubt. My items DO NOT have VAT (or any foreign taxes collected for your government) included in the price you pay me. You WILL be charged VAT by your government when my product arrives in your country. You may also be charged a VAT collection fee by your postal service before they will deliver your purchase. A 9% sales tax will be added to purchases sent to an Alabama address. I ship to the address you have listed thru Etsy or PayPal, please make sure it is correct when you check out. I am not responsible for wrong or incomplete addresses. Gift boxes are available upon request for jewelry items. If you experience problems with shipping please let me know so we can try to solve it together. All of my original artworks and photos are copyrighted. Want to include a gift message? Contact me and I will add one with your own personal message. As every piece of jewelry is hand made by me, measurements are approximate and may vary slightly. 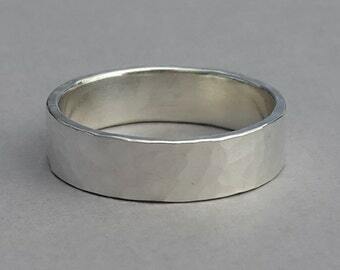 My ring sizes are precise and are based on the actual interior diameter of each ring. Items damaged in shipping, or found to be defective in any way, will be replaced or refunded after following my procedures for these problems. Contact me immediately (within 3 days of receiving the package) for proper procedures. After any needed photographs are taken and any postal inspections are finished I may also require the defective or damaged items be returned to me unless I tell you differently. If the items are to be returned I will email a shipping label for their return. No new shipping fees will be charged for any replacement items sent. If no replacement item is to be sent, the item cost and associated shipping fees with that item will be refunded. Slight changes such as chain type and length, or other minor variations to my listed items usually do not require a custom order deposit. The cost of the chain, or other changes may be slightly less or more than the original listed item. The new price will be included in a special order listing reserved for you. Please use this listing to purchase the item. When you have paid I will begin work and ship the item. Included in prices for custom orders are regular and timely updates on the progress. Change orders after the work has started may be charged additional fees if it requires additional time or more expensive materials than the original estimate. Price quotes are based on the current precious metals market and are subject to change. Quotes are good for three days, and will be fixed upon confirmation of order. I can cancel custom orders based on the time frame noted in the actual custom order contract. Custom orders where the item has been personalized, cannot be returned. Other custom orders may only qualify for a partial refund, based on the original custom order contract between us. Unfortunately I cannot offer refunds for items reported as "Delivered" by the postal service unless you help by filling out the proper paperwork and you work with me to try and locate the missing package. Please work with me if this happens so we can find the item for you. To fulfill your order, you must provide me with certain information (which you authorized Etsy to provide to me), such as your name, email address, postal address and the details of the product that you’re ordering. 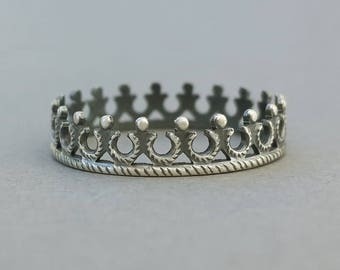 You may also choose to provide me with additional personal information (for a custom order of jewelry, for example), if you contact me directly. For purposes of EU data protection law, I, Celia O’Kelley, am the data controller of your personal information. If you have any questions or concerns, you may email me at: celiaand[at]hotmail.com. How to get the correct ring size. To determine the size for your ring there are several things to consider. Your ring size will vary due to hydration, time of day, time of year and even the width of the ring itself. You should visit enough jewelry stores to find two jewelers who agree on your size as the mandrels used are often inaccurate. They can be off as much as ¾ of a size and are usually off around 1/8 of a size. I measure the actual ring size by measuring the inside diameter of the ring. The ring size's comfort depends on the ring's width, therefore try on rings in the same width of the ring you are buying for an accurate measurement. 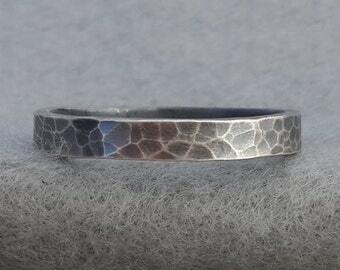 A wide ring may need to be a full size larger than a narrow ring to feel comfortable. ***Do not use paper tools off the internet. Will this copper or brass ring turn my finger dark? Copper and brass turn some people's fingers green or black. This is not harmful. It is a reaction between your personal skin chemistry and the metal. It happens mostly with copper or copper alloys, but some people have this reaction with other metals. 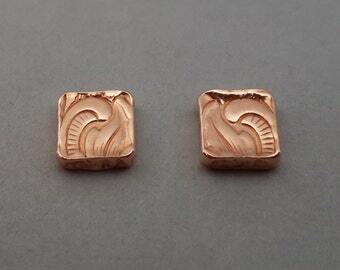 Other people, like me, have a chemistry which removes the oxidation from copper and turns oxidized copper rings back to the pinker unoxidized copper look. To see if this may happen to you before you order a copper or brass ring, you could just wrap a bare copper wire around your finger for a day or two. It usually happens fairly quickly. Again it is just a discoloration of the skin and is not harmful. It is different than an allergic reaction.